Studying online is becoming a popular option for individuals around the globe because it proves to be a much more pocket-friendly option, as opposed to studying on campus. It also allows students to work part-time and cover the costs while attaining their degree of choice. While not all degrees can be obtained online, nursing is one of the most popular and it is rated among the top three undergraduates and graduate education majors online. There are plenty of career opportunities for qualified nurses and if you are considering studying nursing online, there are a few important aspects that you should take into account before choosing a course. Before signing up to study online, it is vital that you make sure the online institution is accredited and that you will receive internationally recognized certification to work as a nurse. This is important because there are, unfortunately, a lot of institutions that do not provide adequately recognized certification and therefore, you may end up spending money on a course that is unable to let you practice as a nurse once you have completed studying. 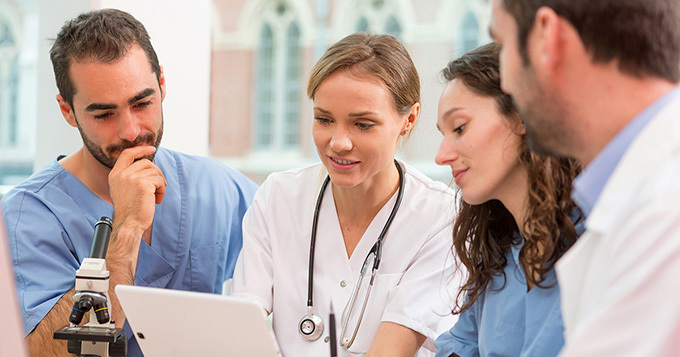 After you have found an accredited online institution, you should evaluate the nursing courses and programmes that they offer to ensure that you are signing up for a suitable course. You will need to establish how much free time you have to dedicate to the course. Nurses are quite busy people with a lot of responsibilities to take care of on a daily basis, which means that you should rather opt for one course at a time, especially because nursing courses are undeniably demanding and time-consuming. It would be wise to ensure that the online institution you have opted for offers nursing courses with accessible teachers. You will need interaction with your teachers throughout your course to help you through when you need advice. Studying online requires a great deal of ambition and self-discipline, considering that you will not have lectures to attend as with campus studying. What are the requirements to become a nurse? Before you can work as a nurse, you need at the very least a diploma or a certificate from an accredited institution. Certification to become a nurse will involve courses that incorporate basic nursing skills, infection control knowledge, health promotion knowledge, and psychosocial and physiological integrity. Additionally, to advance your career as a nurse, you will also need to pursue a nursing degree (ADN) and you will be able to further your nursing education by obtaining a Bachelor’s of Science in Nursing Degree. You will be able to start your career after receiving your diploma or certificate in nursing from an accredited online institution, although, you will need to further your education in order to further your career as a nurse and therefore, it is essential that you study for a degree. As a nurse, you can also further advance your career by earning certification in specialized areas. Pediatric nursing, midwife nursing, nursing anesthetics, general nursing, and public health nursing are just a few of many different specialized fields for nurses that you could consider once you have received your degree in nursing. There are numerous specialty fields available for nurses which range from pediatric nursing to specialized medical writing. Choosing which field to specialize in as a nurse will greatly depend on your individual interests and career goals. Taking an aptitude test can help assist with your decision.